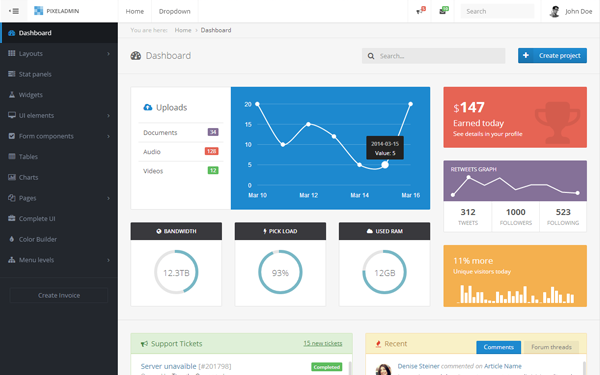 PixelAdmin is a fully responsive admin & frontend template built with Bootstrap 3.1 and latest jQuery versions. PixelAdmin was developed for all type of web applications like custom admin panel, admin dashboard, application backend, CMS, CRM, business website, corporate, portfolio, blog etc. This template comes with a huge collection of easy to use components and plugins. Item Reviewed: PixelAdmin - Premium Admin Theme 9 out of 10 based on 10 ratings. 9 user reviews.